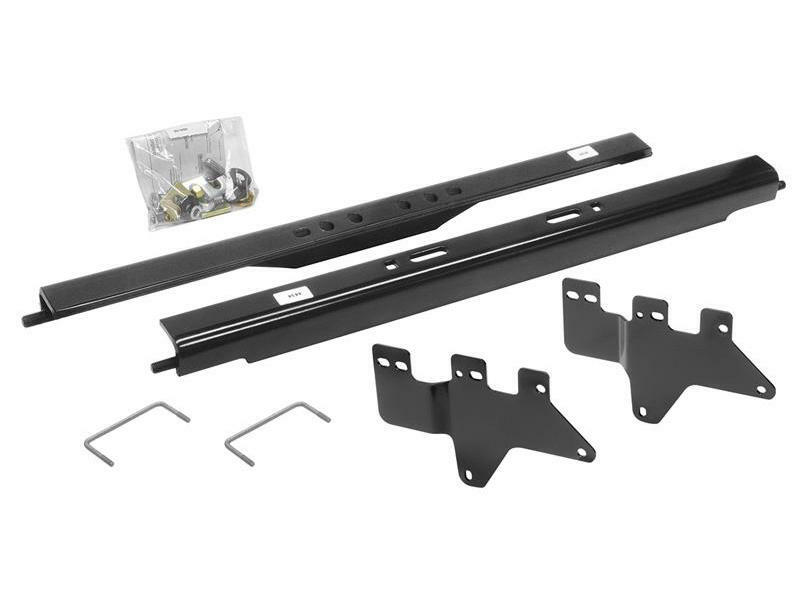 Draw-Tite gooseneck installation rail kits are rated to match manufacturer's vehicle tow ratings and are designed for mounting the hitch head of a Hide-A-Goose Underbed Gooseneck Hitch. They are also used with Fold Down Remov-A-Ball Gooseneck hitches. Allows quick easy installation of gooseneck hitches. Will not fit pickups with beds shorter the 6 ft. in length or Flareside/Stepside. Simple bolt-on application, no welding required. No need to raise truck bed or remove exhaust to install on most models. Uses existing holes in vehicle frame.